In recent years, those of us in various Information Technology roles have heard a lot about digital transformation with the introduction of new and rapidly evolving business requirements. 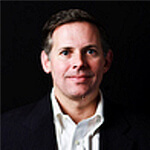 We hear terms like “OmniChannel” and “bi-modal IT” among others. These buzzwords are often convenient ways to describe complex scenarios in a single word. Another term that seems to be rather ubiquitous in these same circles is “API” or “API Management”. It’s a funny thing, this recent popularity of the term API. It’s not a new term by any means, but the relevancy of APIs has shifted from something only developers would have discussed 15-20+ years ago to a rather central component of a digital transformation strategy. 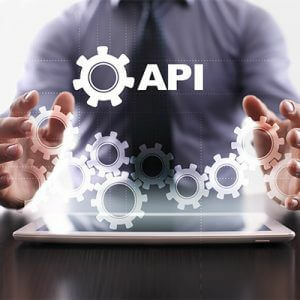 These days, APIs are responsible for opening new sales channels, enabling mobile applications, synchronizing data in disparate systems, connecting to the cloud – or connecting to many clouds. As a result, you now see references to APIs and API Management as a strategic initiative in new companies, products, strategies, analyst reports, etc. The discussion has moved from the developers desk out to the line-of-business management. With so many different types of conversations taking place regarding APIs, the term, itself, has come to represent many different things to different people. After all, the term is rather generic: Application Programming Interface. It can take many forms. An API could be a simple JDBC call from an application to a remote database. It could be a SOAP based Web Service published for public consumption over the internet, or it could be a whole host of other technologies, communications, protocols, libraries, adapters, or many other “sets of clearly defined methods of communication between various software components.” (to quote a very simple definition provided by Wikipedia.org). So, with the term API covering such a wide-range of topics and technologies, it gives me pause when I read about products designed for API Management. Sure, it makes sense that as your organization identifies and develops an increasing number of APIs, then it would be good to have the tools to coordinate the design, development, publication, security, usage, and reporting related to these interfaces. But as I mentioned above, there could be a vast array of integration technologies working behind the scenes in concert with these APIs. Whether you are publishing or consuming data through an API, the interface is only one link in a process that may involve many more integration steps, and these steps may require many more different technical connections or processing or routing, depending on the ultimate goal of the overall process. In fact, most APIs are simply extensions of the technology that we have been utilizing in business integration for many years. When the typical request/response exchange in the API is complete, what happens next? Well, there could be any number of process steps. If you are a mobile consumer, you probably receive a simple update. If you are an internal or external business user, there could be more: What data did you get in the response? What do you need to do with it? Do you need to add it to a business document? Do you need to transform it? Do you need to pass it to some legacy environment? Do you need to compress it? Encrypt it? Do you need to evaluate the data and trigger additional process steps based on this evaluation? Do you need to transmit it to an external party? The point of this barrage of questions is simply to say that once you step away from the API, then the myriad of other possible process steps are activities that business integration tools have been facilitating for many years-behind the scenes. With this being the case, it seems to make a lot of sense that a well established business integration software provider would enhance their product suite to embrace API management and offer a much more comprehensive integration platform to truly unlock the overall power of API’s more efficiently than a software provider who is narrowly focused only on the API and API Management. API Integration and API Management with SEEBURGER Business Integration Suite.